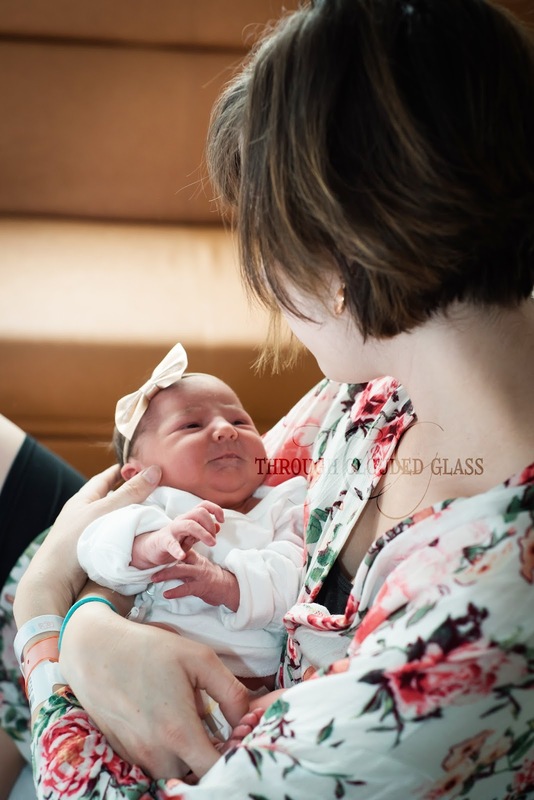 I don't think you can fully appreciate this birth story unless I back up a little bit and impress upon you just exactly how incredibly uncomfortable I was on October 29th. 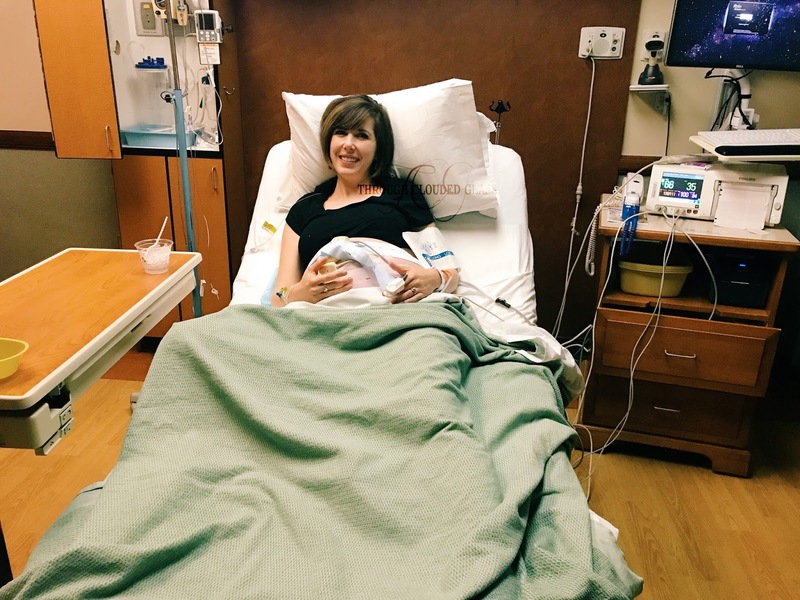 I wrote my 38 week pregnancy update before the 29th, and I already described there how many different things were giving me pain between 37 and 38 weeks, including a round of false labor. But when I woke up on the 29th, my discomfort had reached another level. I shifted to get out of bed and took a few steps to the bathroom, in pain the entire time. I had been feeling uncomfortable first thing in the morning all week, but today the feeling just didn’t go away. The pain was mostly in my lower back and hips, and my leg/hip joint, and the baby just felt so heavy. It hurt to walk around the house, it hurt to climb the stairs, it even hurt to lift one leg so I could cross it over the other. I had to use my hands to physically lift my limbs so I could cross my legs! I couldn’t recline too far back because I could feel the baby’s head pressing against my tailbone when I reclined, but I couldn’t sit forward very comfortably with my legs together. I was left with a less-than-ladylike exercise-ball-squat sitting position, which gets uncomfortable in itself after a while. We decided to go to church anyway, mainly because I didn’t want to sit around the house feeling uncomfortable with nothing to do all day. Everyone in our Sunday School class asked how I was feeling, and all I could say was that I felt so sore today. A couple of them suggested that maybe the baby would come early, but I waved it off. “Oh, I think we’ll end up having a 40 week baby, so I’m just trying to prepare myself!” I said. And I really believed it. We had a birthday party scheduled for the afternoon, but Derek encouraged me to tell our friends we couldn’t make it, and after suffering through church and the car ride home, I agreed with him. I laid down and took a nap for an hour, which was the only relief I had all day. Derek was so sweet and took care of the kids so I could rest and take it easy all afternoon. I told him I really didn’t know what I was going to do the next day if I felt this uncomfortable again, because I wouldn’t even be able to take care of the kids with the way I was feeling. He emailed his work to see if he could work from home so he could help me. Derek tried out a new curry recipe for dinner while I rested on the couch, and that was when I started to notice some Braxton-Hicks like contractions. The didn’t feel like real contractions, but they were more noticeable than regular Braxton-Hicks. I figured it was more false labor, but I timed them anyway. They came anywhere from 10-30 minutes, not consistently at all. The kids all (surprisingly) loved the curry dinner, and we all sat at the table together to eat and do Bible time. Derek often takes over the bedtime routine for me in the evenings during the week so I can have a break, but a little part of me was starting to wonder if I might be having the baby sooner than expected, so I wanted to be part of the whole bedtime ritual than night, just in case. We brushed teeth, read a story, sang a song, said bedtime prayers. I kissed all my babies goodnight, and Derek and I sat down to watch an old episode of Monk. Actually, to be accurate, Derek sat, I laid down on my side, since that was the only comfortable position. The contractions were still sporadic and not terribly contraction-like through the show, but I was starting to get a general feeling of unease. I got up at one point to use the restroom, and when I laid back down on the couch, I started shivering. I asked Derek to cover me with a blanket. But the shivering didn’t stop. I told him I didn’t feel right, and I thought maybe we should call my mom and ask her to spend the night, just in case. By the time Derek got off the phone with my mom, I was shaking uncontrollably, and it was honestly starting to freak me out a little bit. The only other time I had experienced shaking like that during pregnancy was when I was in labor, in transition. I couldn’t be in transition since I wasn’t even having consistent contractions, right? It was weird enough though that I decided to call my doctor. I told her about the contractions and the shaking that had just started. “Well, I don’t think I’ll be able to sleep if this shaking doesn’t stop,” I said. By the time I got off the phone the shaking was even more pronounced, and I was honestly starting to feel a little panicky. This was so unlike my usual labor pattern, I really wasn’t sure what was going on. Was I going into labor or was this just some weird pregnancy symptom? I didn’t feel right. I called my mom to tell her to hurry, but she didn’t pick up. Derek started throwing a few last-minute things into our hospital bag, just in case this was really labor and we ended up staying. I gingerly walked around the house, grabbing a couple things and getting my boots and jacket on. Then suddenly the shaking stopped. Derek finished packing the car and came to sit next to me, and I just burst into tears. “I feel stupid!” I wailed (yes, wailed). “The shaking has stopped, and we’re going to go down there, and it’s all going to be nothing! And then we’ll have to come home and I’m still going to be this uncomfortable!” I had tears streaming down my face while Derek rubbed my back. My mom called, and I gave her the same teary update. “No, you still need to go down there and figure out what this shaking thing is. That’s not normal,” she told me. She arrived a couple minutes later, and my mom prayed with Derek and me before we headed off to the hospital, around 9:00 PM. Once we were in the car I was feeling less panicky, and I was talking to Derek, trying to convince myself it wasn’t a total waste of time to go to the hospital. Derek assured me that it wasn’t a waste of time, and I needed to at least get checked. Within a few minutes of getting into the car I had a contraction again, and this one felt more like I remembered early labor contractions feeling (even though it was short at only 30 seconds). I started timing again, and had contractions every 5-6 minutes all the way to the hospital. I was relieved, because these felt like the real thing, and I finally felt like I was recognizably in early labor. Derek told me that he had told Wyatt that we were going to the hospital to get checked out, and Wyatt had bounced around, excited that we might be having the baby. We pulled into the hospital parking lot and waited a few minutes until my next contraction had ended before we headed in. The nurses came down to get us, and joked that they were worried I had a baby on the side of the road again. My contractions stalled when we arrived at the hospital, but I was expecting this. Typically when I’m in early labor and get up to walk around, my contractions stop (it happened the last time I gave birth too). My nurse introduced herself and asked me to leave a sample. I noticed a tiny streak of blood in the bathroom, which was reassuring to me that something was happening down there. She hooked me up to the monitors and asked if I had been having any more contractions (I hadn’t, but I knew they’d start up again soon). She checked my cervix, and I was only at a 1 cm (same as at my doctor appointment the week before). After laying in bed for a few minutes my contractions started again and were recognizable on the monitors. At 10:45 PM, the nurse said they would monitor me for an hour and see if I made any progress. When she left the room, Derek and I worried about what we would do if they decided not to admit me to the hospital. At this point we knew I was in early labor, and we certainly didn’t want to go home. I also didn’t want to have to labor in the car and try to get admitted again. 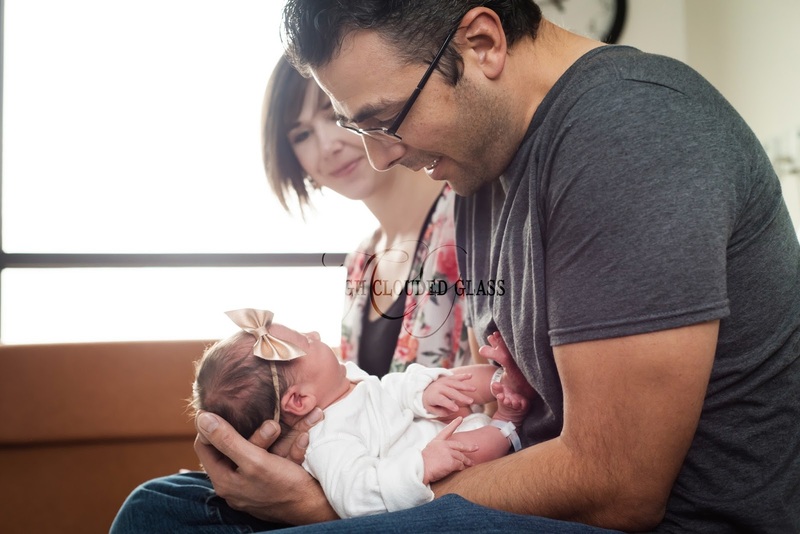 I focused on breathing slowly and relaxing as much as possible through the contractions so they could do their job. The nurse came to check on my around 11:45 PM and asked how I was doing. I said that the contractions were definitely more painful now. She said she thought they should wait and give me one more hour before they checked me, just to really make sure I had enough time to make some progress. I was so grateful for that nurse! Over the next 15 minutes my contractions really started to pick up in intensity. They started hurting so much worse, with the pain concentrated heavily in my back. 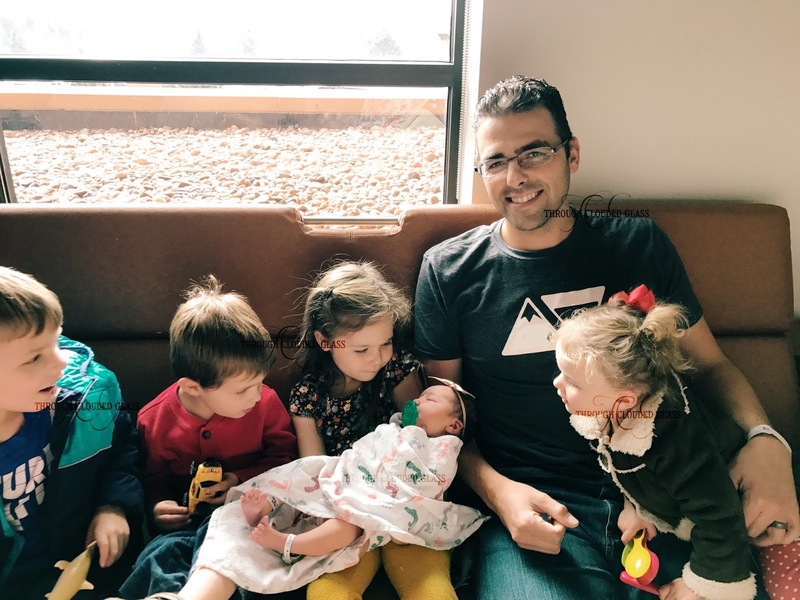 It made sense to me that I would have back labor, because I had suspected that the baby was facing the wrong direction with all the pain I’d been having that day. In my past labors, I usually have a contraction and then feel very normal until the next contraction comes. This labor was entirely different from my usual labor experience, because the pain did not go away between contractions. I’d have a painful contraction in my back, and then the achy, sore feeling would linger in my back and hips until the next contraction. They say if you have back labor it helps to get on your hands and knees (and I know this is true, because it really helped when I had back labor with my third). However, remember how much pain I was in earlier in the day when trying to walk? I did not want to move - it hurt too much to even shift a little in the bed. 1) I didn’t care if I hadn’t progressed at all at my next check, I was not leaving that hospital. I was going to insist they admit me. 2) If I had progressed a decent amount at my next check, I was requesting the epidural. 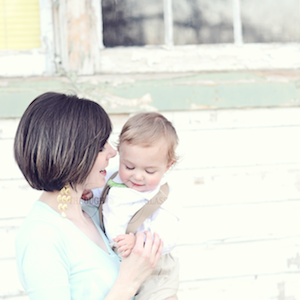 I have gone through natural labor three times, and I just decided that this time, I didn’t want to. I knew I could do it, I didn’t have anything left to prove to myself, and I just had no desire to do the back labor thing again. 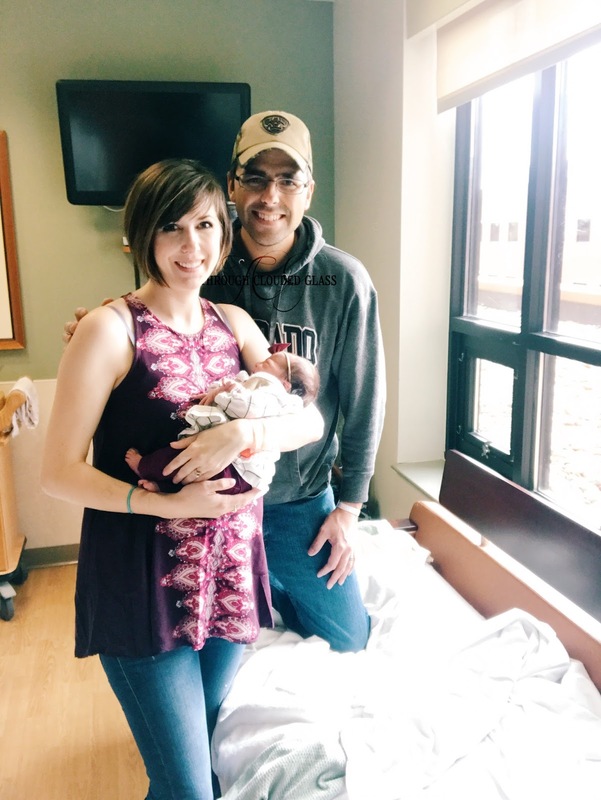 I wanted my last birth experience to not be a traumatic one, and with the way things were starting to go, I knew that a natural birth would be a little traumatizing should I go that route with this baby. Derek was sweet and supportive, as he always is. I am so grateful for him! I really couldn’t ask for a better birth advocate/coach. The nurse came to check me at 12:45 AM, and I had progressed to 4 cm! Yes! 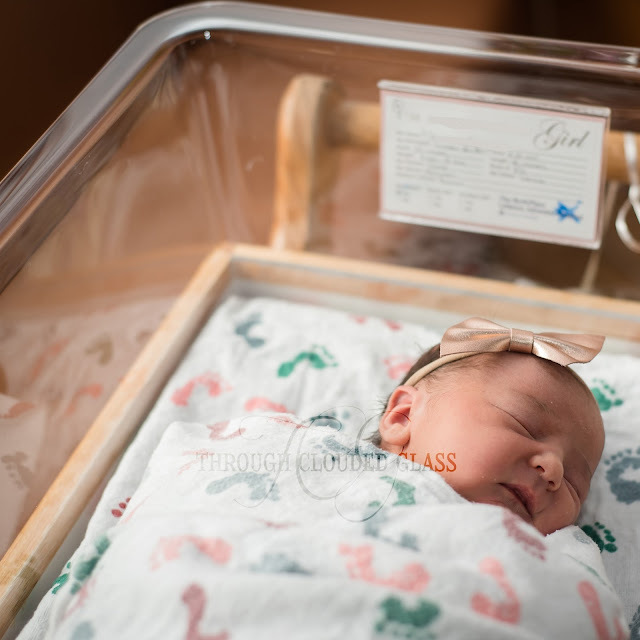 I could tell things could potentially move fast at this point (my labors always move quickly toward the end), and I also knew it could take an hour to get the epidural. I asked the nurses to call the anesthesiologist right away, and they put the order in. I also got a dose of antibiotics since I had tested Group B positive. At this point I had Derek come and start holding my hand or tickling my arm through the contractions, because they were getting more painful as we waited. The anesthesiologist came at 1:30 AM, and I was so grateful because the intensity of the contractions kept steadily increasing. 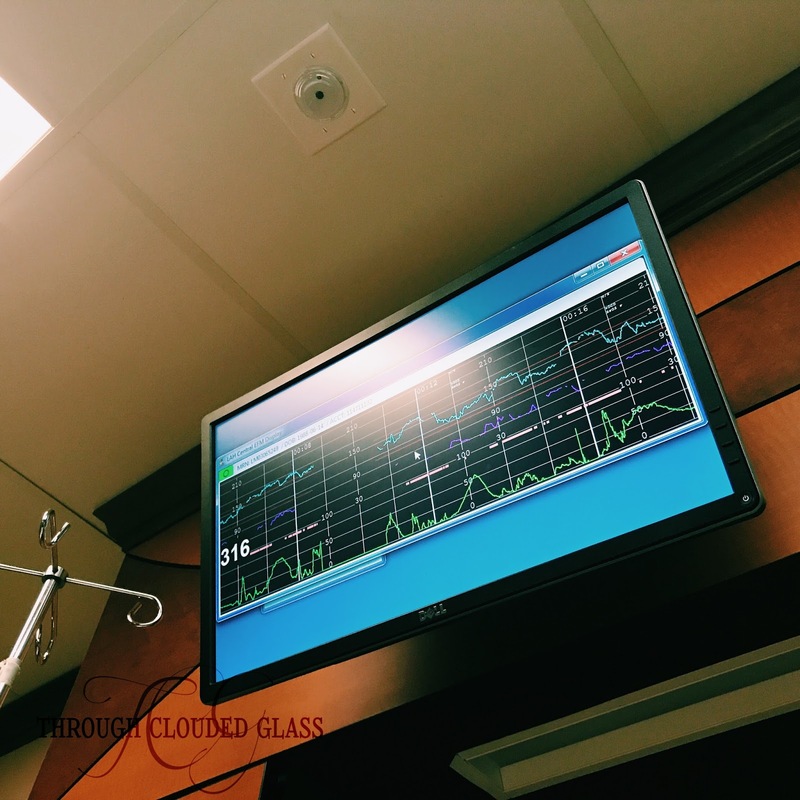 I gingerly shifted myself around to sit on the edge of the bed, and I had to breath through a couple contractions before they could place the epidural. The anesthesiologist told me I was “an excellent breather”, and that it was good because if I could stay relaxed the contractions would hurt less. I’ve got the breathing thing down after five births! 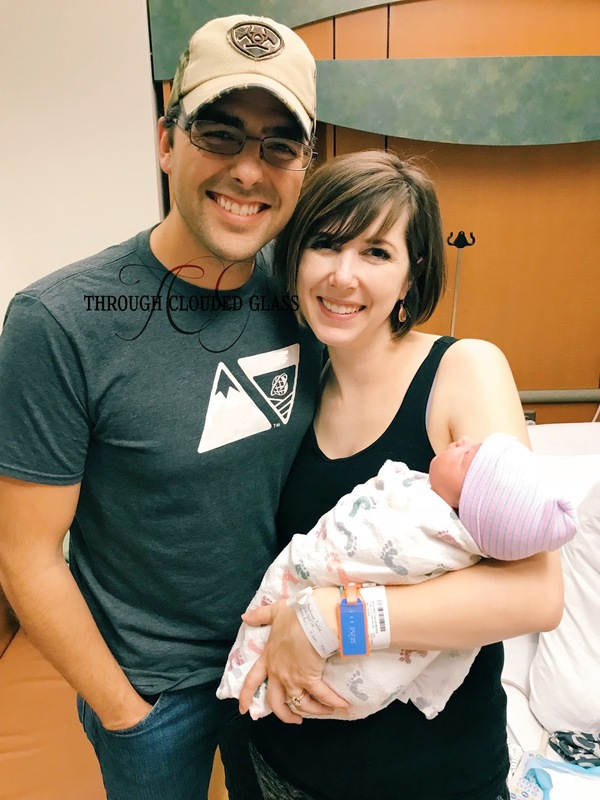 He had the epidural placed by 1:45 PM, and the contractions gradually got less painful. 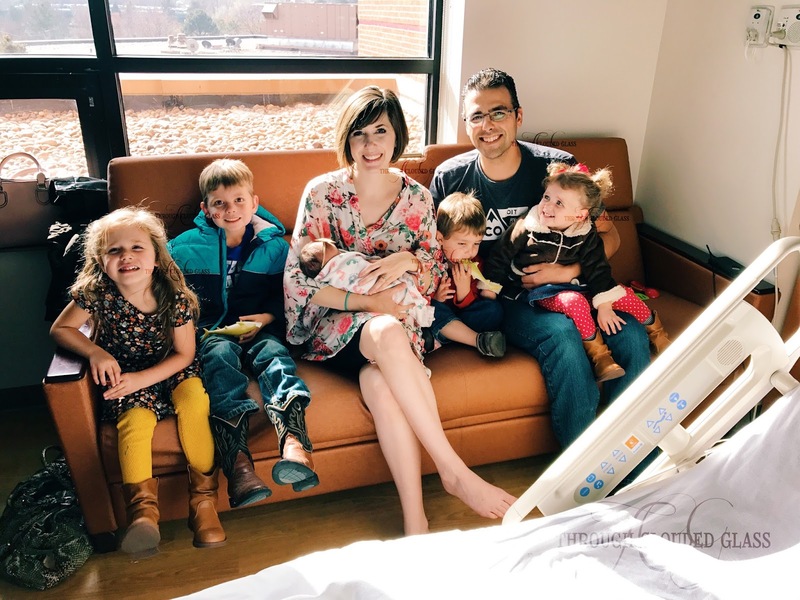 My right side never got completely numb (it weirdly didn’t the last time I got an epidural either), but before long I felt so much more comfortable. The nurse checked me again shortly after the epidural and I was at 8 cm. I started feeling pressure almost right away, and she called the doctor. I remember sitting there at this time, and I felt (and saw) her kick against my belly. I grinned, and then looked at Derek. “Ah. That’s probably the last time I’ll feel her kick from the inside.” I started tearing up, and Derek came over to hold my hand. I still had tears streaming down my face as the nurse talked to me and the doctor came in a minute later. It was 2:00 AM at this point, and I was still at 8 cm. The doc pulled out this scary-looking stick to break my water. She left for a minute, but with the next contraction the pressure was even more intense, and she came back in right away. Derek rubbed my back, and I asked if I could start pushing. They set me back with my legs in the stirrups (such a dumb pushing position, but my legs were numb, so what can you do? 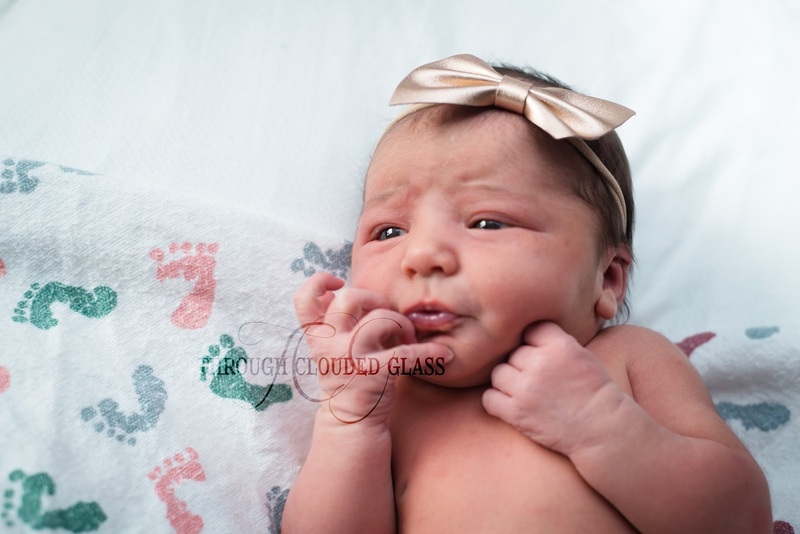 ), and with the next contraction, I screeched/pushed. They say you should only feel pressure, but my epidural had only really been in place for 20 minutes, so it still hurt. I pushed again through the next contraction, and by the next contraction her head was out. The nurses and Derek were telling me to look down so I could maybe see her head. I glanced down, but I couldn’t see her, and I didn’t try too hard because I was still trying to push the rest of her out. At one point I remember saying I couldn’t get her out, but in the next two pushes there she was! At 2:21 AM I looked down, and there was my sweet baby girl, her face all scrunched up. They handed her to me, and I just started crying because I was so happy that she was here! She just laid on my chest with her eyes wide open and her cheeks puffed out as she gave a pouty lip. The nurses suctioned out her mouth, and she finally let out a tiny little mewing cry! They let me hold her for a little bit, and then took her over to the warmer to clean her up while the placenta was delivered. They must have made her mad because she was crying pretty loudly by the time they brought her back, but it made me feel pretty special when they handed her back to me and the crying immediately stopped. She looked up at me and I just fell in love with her again for the second time in as many minutes. 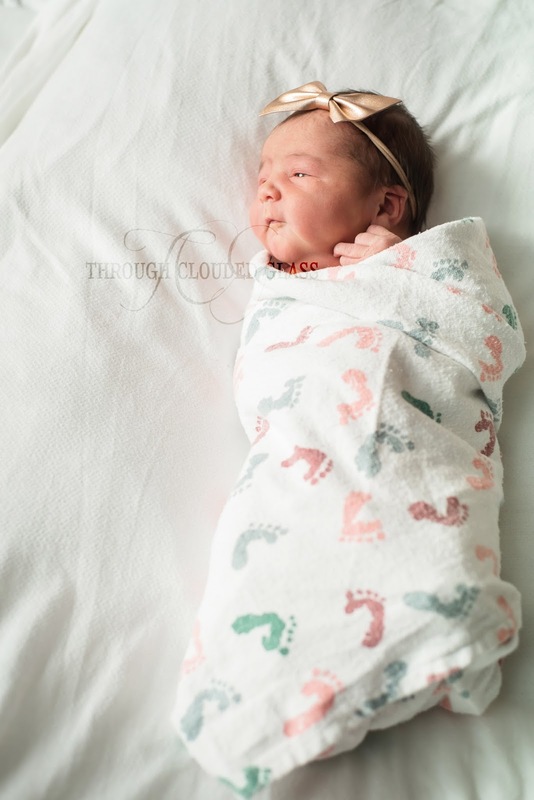 They told us she was 8 pounds, 8 ounces, and 21 inches long. No wonder I was in so much pain! She was about a pound heavier than my heaviest baby! One pound apparently makes a big difference in my level of pregnancy comfort. 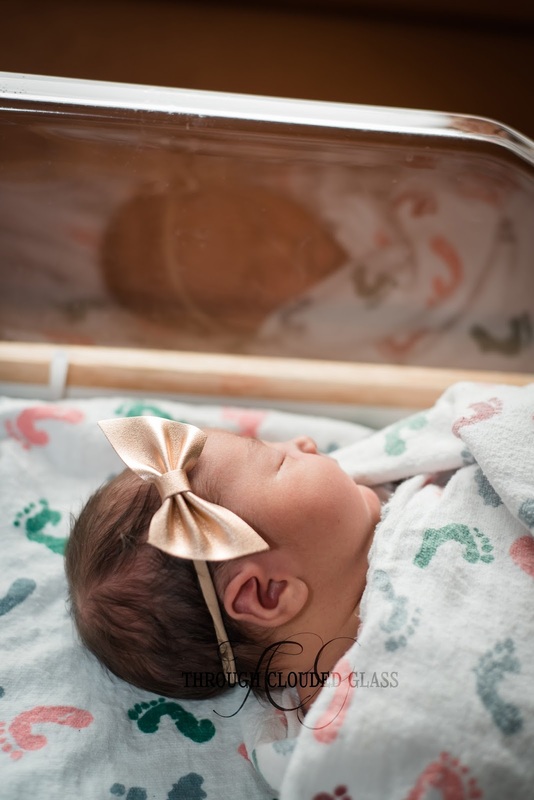 They asked her name, and Derek and I announced it as Georgiana Bea. We picked Georgiana because we just thought it was a beautiful name. We picked Bea because it means “she who brings happiness”. I knew I wanted that in her name, because she has brought us so much happiness ever since we found out she was on the way. Miss Georgie Bea continues to live up to her name. The next couple days were a bit of a blur, with a flurry of visitors, and pictures, and one annoying nurse. But my favorite part was having the kids meet their baby sister. Wyatt kept saying “I just really love her!” Gwen, who has been dying to hold her for weeks, had the best grin on her face, so proud to be a big sister again! Clyde announced that he was going to call her Georgie, and the way he says it is so darn cute. And after some snuggles with me, Clarice plopped down on the couch and smiled so sweetly as I let her “hold” the baby! We are all home now, and the kids are still doing great with her! I especially think Clarice is being sweet about trying to help. 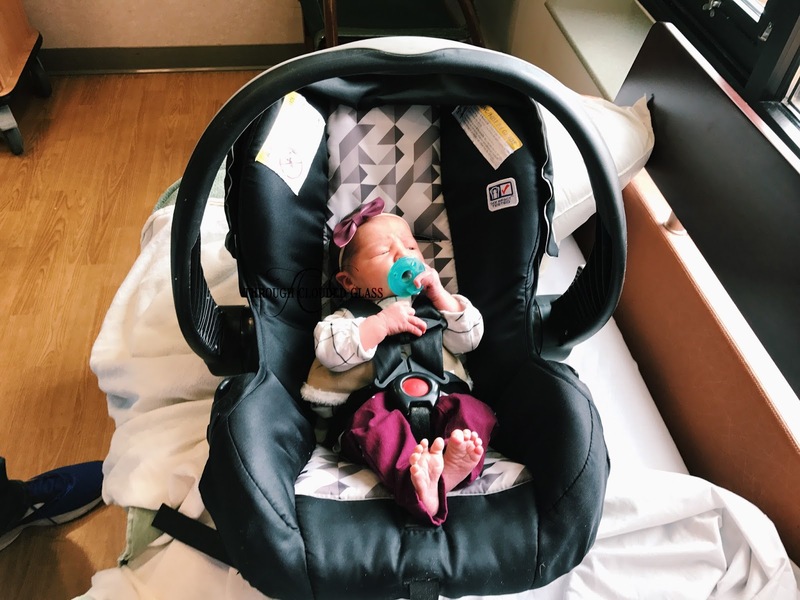 When we first picked up the kids from my parents house, Clarice worked so hard to bring the car seat over to me so I could get Georgie ready to go. Every time I come upstairs with the baby, Clarice yanks her “baby” (her favorite bear is “Baby”) out of the swing and frantically points to the swing. “Baby Georgie here!” she says. The other kids all are anxious to help, and the latest request is that I let them give her a bottle, so we may try to make that happen this week. I am loving being a mom to five kids! I am so blessed to call each of these sweet children mine, and so grateful to have Georgie here! Wish me luck, because Derek is officially back to work now, and today is the first day on my own! Oh she is so lovely. Congratulations! Thanks for sharing your story! She is so precious!!! 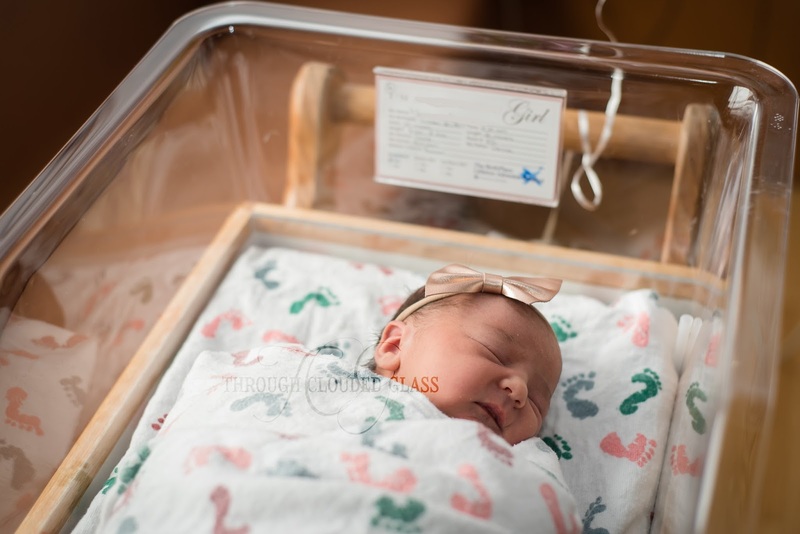 Can't wait to meet sweet Georgie! These pictures are beautiful. What an amazing story! You now hace 5 sweet babies, aka a rockstar mom! So excited for you and I hope you get to soak in all the baby snuggles because we all know how fast they fly. She is so beautiful! 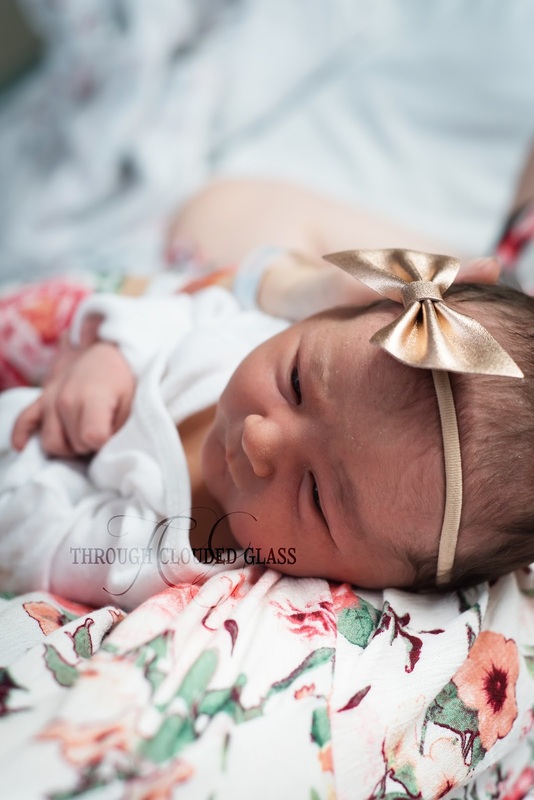 Congratulations on your FIFTH sweet bundle of baby love! Big baby, you did awesome! Brings back so many memories. For some reason I didn't think the pushing phase would actually hurt, even having my second baby. Ouch. And I ended up in stirrups too, happens to the best of us! Wishing you and your pelvic floor a speedy recovery! What a sweet girl! I wonder what all the shaking was about? That is odd. Glad she's here and healthy! Oh Callie! 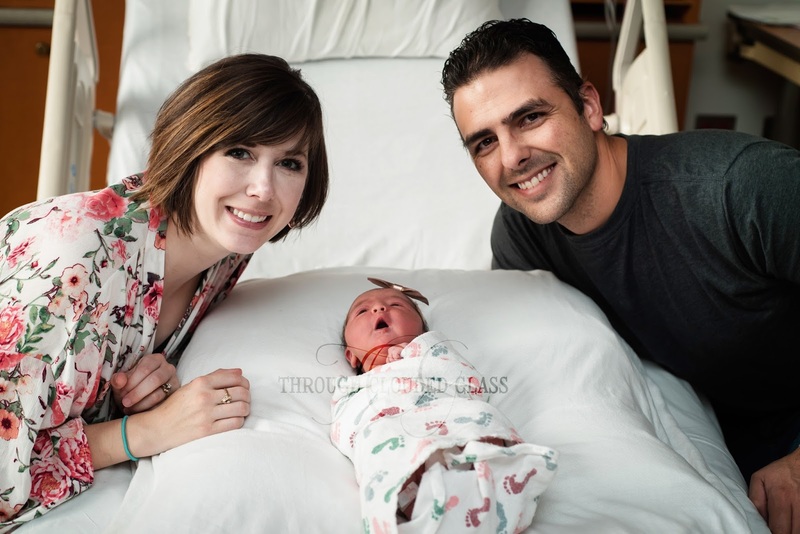 What a beautiful birth story (I legit cried when you said that was the last time you'd feel her tiny kicks inside you!!) and such an adorable little lady! Congrats to you my friend! Oh Callie, I love this so much! So happy for you all! I am so in love with her name. You guys did an amazing job with it. I had back labor with Gracie. My very first contraction hurt so bad I couldn’t breathe or talk through it. 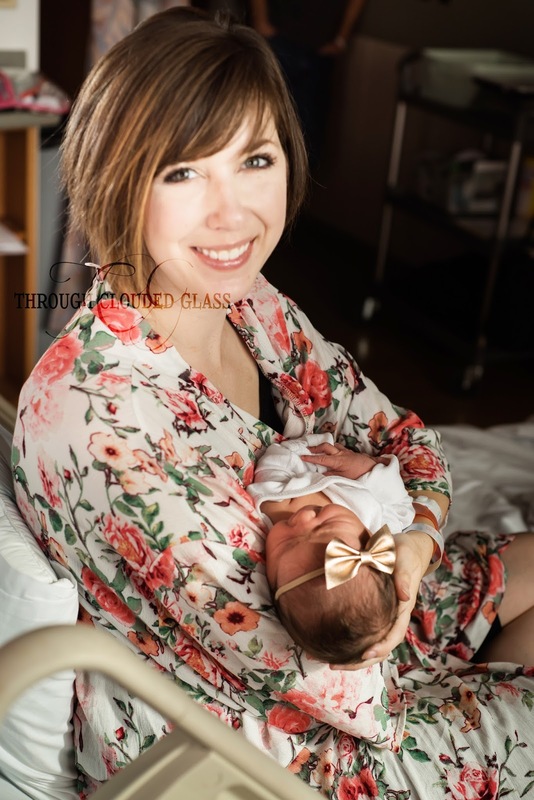 The epidural was life-giving for me! I don’t think I would’ve stayed conscious without it the pain was so intense. So glad she is here all safe and sound! Guess Who Surprised Me Again?